This season’s runways were filled with bursts of punchy tangerines and warm, glimmering copper shades. 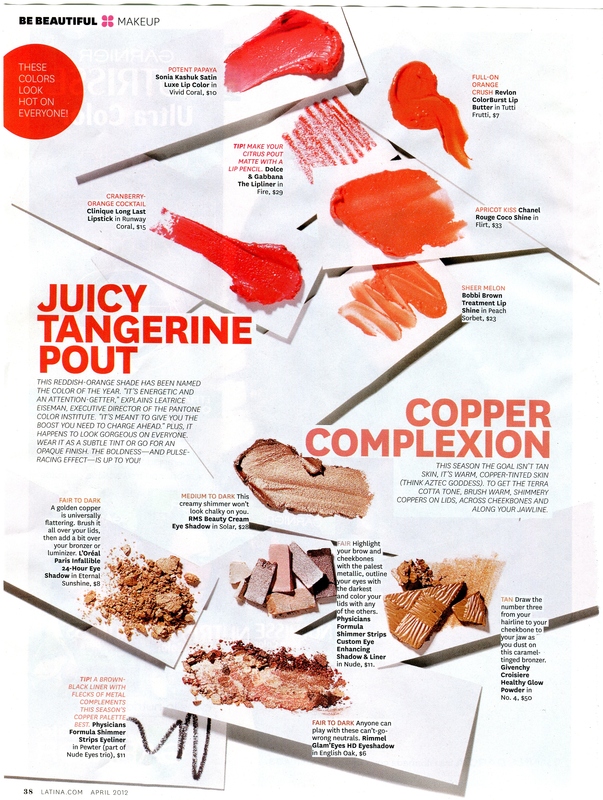 The April issue of Latina Magazine highlights all these spring beauty trends and includes colors fit for every skin tone. Makeup artist Andrew Sotomayer gives insider tips, as well as personal color selections that you must try for spring. Among them is rms beauty‘s new cream eye shadow in solar. The antiqued gold shade instantly adds shimmer and warmth to your lids and doubles as a beautiful highlighter when swept over cheekbones–a makeup bag must-have for the upcoming sunny months!